Home Improvement Project? Recycle Your Construction Debris. Whether you realize it or not, many items that may seem like waste at a remodeling or building site can actually be recycled! This can include concrete, tile, wood or lumber, plastics, doors, windows, insulation or carpet. 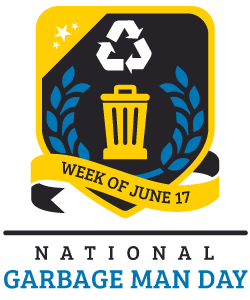 This month, we’re focusing on best practices for recycling construction debris. When starting a new project, the best way to minimize waste is to estimate what materials are needed for each step and carefully planning to maximize the products in the project. When planning a DIY (“Do It Yourself”) project or working with a contractor, sitting down to plan and calculate the materials is good for the environment and your wallet. Researching A Contractor: Do they recycle? There are a couple of ways that you can make environmentally-conscious choices when it comes to your construction projects. If you’re hiring the job out to a contractor, ask them if they have plans to recycle the debris after the job is complete. Some companies are founded on environmentally friendly principles, in that they use sustainable products that are easily reused and recycled. If you have the option, this is always a great choice. Because of chemical treatments applied to many construction materials, it is encouraged to recycle as many materials as possible. Sorting is key when working at a construction site, and containers for material recycling must be set up on site and clearly labeled. Construction personnel must be trained in material sorting policy, and bins must be monitored periodically to prevent waste mixing as a result of crews or passersby throwing trash into the bins. Some materials will require bins or storage that protect from rain. Other bins may be locked to prevent tampering. For more information on how to recycle specific construction materials, please refer to the Recycle Guide on this topic. Share with us on Facebook and Twitter. 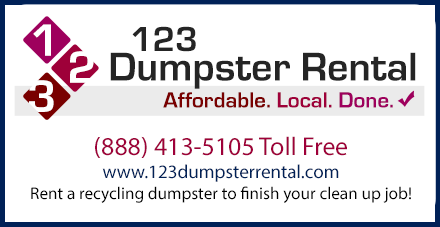 Do you have experience working with a contractor who recycles? Or did you recently complete a home renovation where you recycled materials? Use #RecycleGuide to tell us more! See also: Recycling concrete and drywall.